Earlier this semester, Albion College sent a letter to every graduating senior. 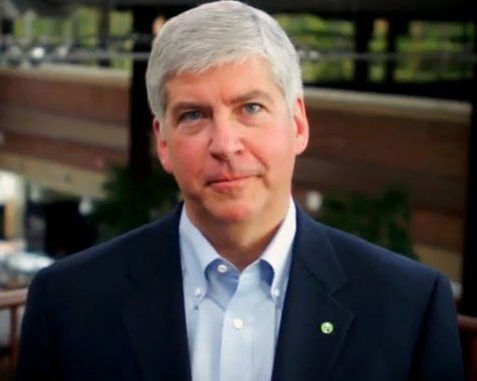 In the letter, the Albion College administration announced that Governor Rick Snyder would be giving this year’s commencement address. This upset some students. Snyder’s politics resonate with students from wealthy families, straight students and others who simply agree with his fiscal views. This has left him at odds with various students who come from low-income households, who are part of the LGBTQ community or who hold differing social views. “If all of the students that attend Albion College are not middle class, white, American male citizens that are heterosexual, then we should have someone that realizes that and acknowledges that and stands for diversity, like we have on our campus,” Jackson said. Just like Jackson, other students from Albion College found themselves disappointed with the selection of Governor Snyder. The issue that most students have with Governor Snyder coming to speak is the difference between what Albion College’s handbook supports and what Governor Snyder supports. Not everybody agrees with Keener or Jackson, of course. John Fleming, Grosse Ile sophomore, had an alternative view on the situation. Although Fleming is in support of Governor Snyder coming to Albion, he also recognized that every student is entitled to their own opinions. Photo by Major.guy2012, Wikimedia Commons. Excellent choice. Time for the students at AC to understand you need to compete in the global economy. Gain a strong liberal arts education, get a job, work hard, continue your lifelong learning, and contribute to society. Snyder is certainly for all of the above – none of which is prevented by your race, gender, orientation, etc.